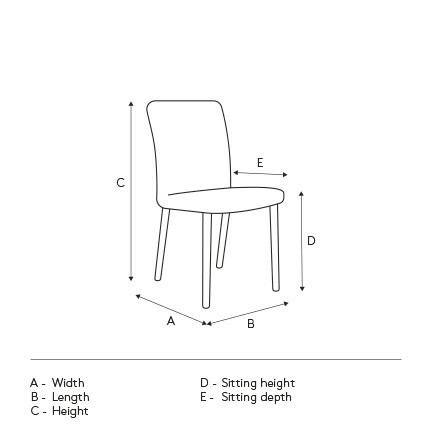 You simply cannot go wrong with the pure and simple lines of the Elbo dining room fabric chair. Its compact, intelligent and timelessly chic design, created with convenience and style in mind, was made to stand out while also being able to blend in with any and every style of home decor. Even better: It is totally small space friendly. No room? No problem! Throw in its beautiful and easy to clean fabric cover and you get an essential part of the living room of your dreams.